With the first 'Felt Cushion' workshop coming up in a couple of weeks time I've been working on a new design. This cushion is decidedly OTT ! Colourful and bold, the design incorporates some exciting new techniques and can be dressed up or down to compliment any sofa! 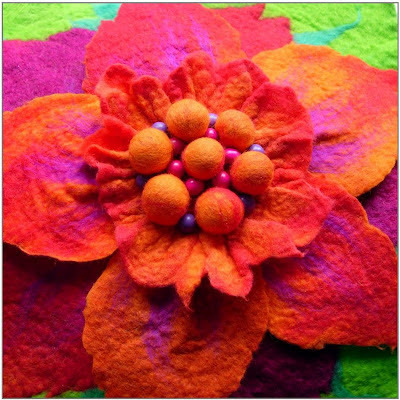 The flower is constructed with layers of pre-felted petals, some completely felted into the background square, others partially needle-felted together, giving the cushion a real 3-D feel. A separate centre piece was felted using a 'shibori' technique, needle-felted onto the flower and decorated with wooden beads. 'Shibori' is a term used to describe the Japanese techniques of shaping and embellishing fabric by knotting & binding. 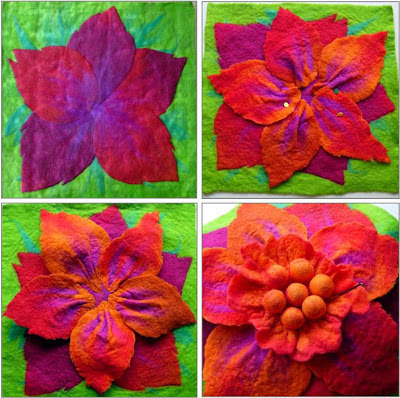 When applied to pre-felts it can create interesting textures which remain in place after further felting. 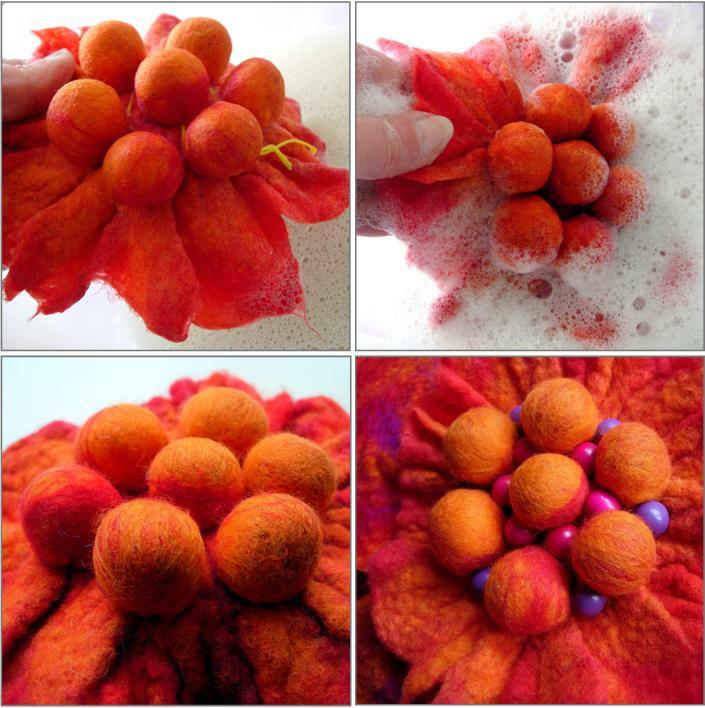 The centre was needle-felted onto the petals and beads were sewn in place. 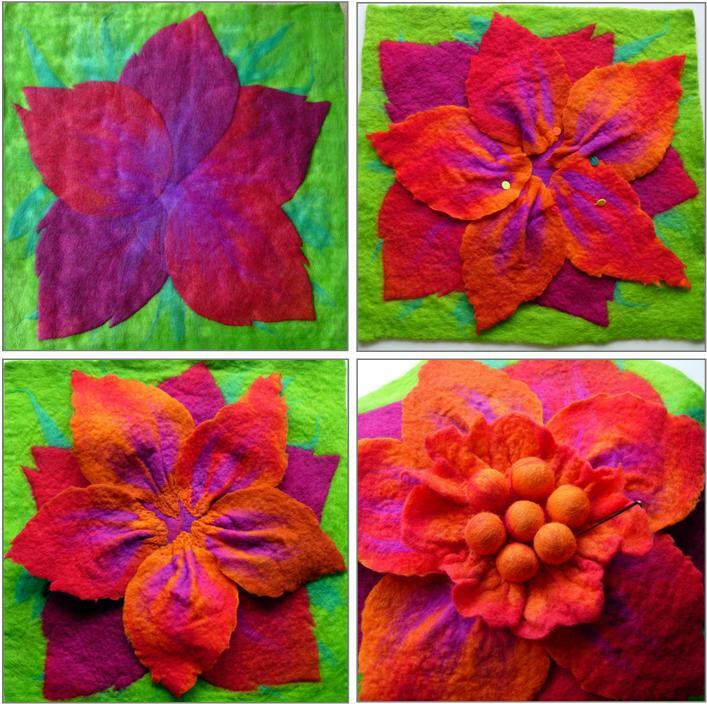 The finished felt flower square was then sewn to a fabric backing to make the cushion cover. This has been a really fun project to work on. There couldn't be a greater contrast to all the natural alpaca shades I've been surrounded by recently.